Writer-filmmaker Tahira Kashyap has never shied away and boldly accepted the challenges that came her way even if it was her battle against cancer. While undoubtedly she had her doting hubby and popular actor Ayushmann Khurrana by her side, here’s another example of how much love this adorable B-town couple share. On the day of Karva Chauth, here’s a husband who decided to fast for the well-being of his wife and decided to set the perfect pati goal with this example of a role reversal. For years together, there were some heavily rooted customs for married men and women that they were supposed to follow. One amongst them is Karva Chauth where the females fast for their husband’s life longevity and well-being. 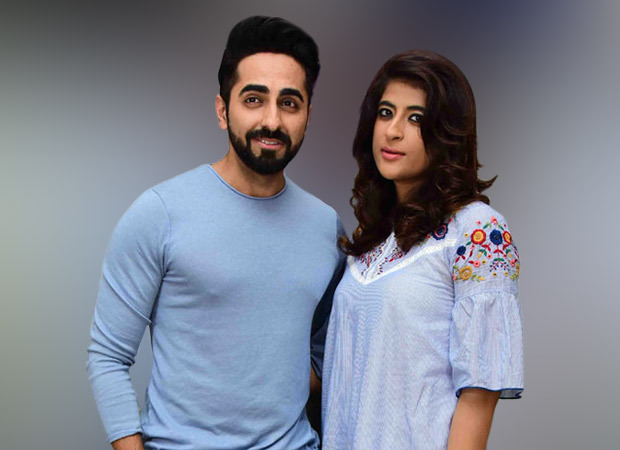 This time around, this couple, who have been undergoing immense stress due to Tahira’s chemotherapy, had Ayushmann Khurrana fasting for Tahira Kashyap’s life longevity and her good health. Well, they are the perfect example of how husband and wife are each other’s pillar of strength, don’t you think so? Explaining about why he decided to keep the fast in recent reports, Ayushmann stated that even though they have been doing this together for the past two years, this time he decided to go ahead since Tahira was undergoing chemotherapy. He added that she was touched by his gesture. He also maintained that he got a lot of blessings from everyone in the family WhatsApp group too. Speaking of how it all started, Ayushmann mentioned that he was never keen on Tahira fasting for him but she decided to do Karva Chauth for the happiness of his mother. But this time owing to her health, no one from the family asked her to do it but he decided to do it all alone for her well-being. In fact, Ayushmann loves his heavy meals every two hours in a day but he was more than happy to do this fast for his wife since he described that it came straight from the heart. He also concluded it by stating that this gave them some quality time to spend with each other since they are always busy with work commitments. Ayushmann Khurrana also expressed his happiness over the fact that his strong and independent wife is responding well to the treatment and is on the road to recovery. Also Read: Ayushmann Khurrana to feature in Chhoti Si Baat remake?